I'm a User Experience evangelist, and I help clients achieve their goals through well-designed data-driven digital products and experiences. 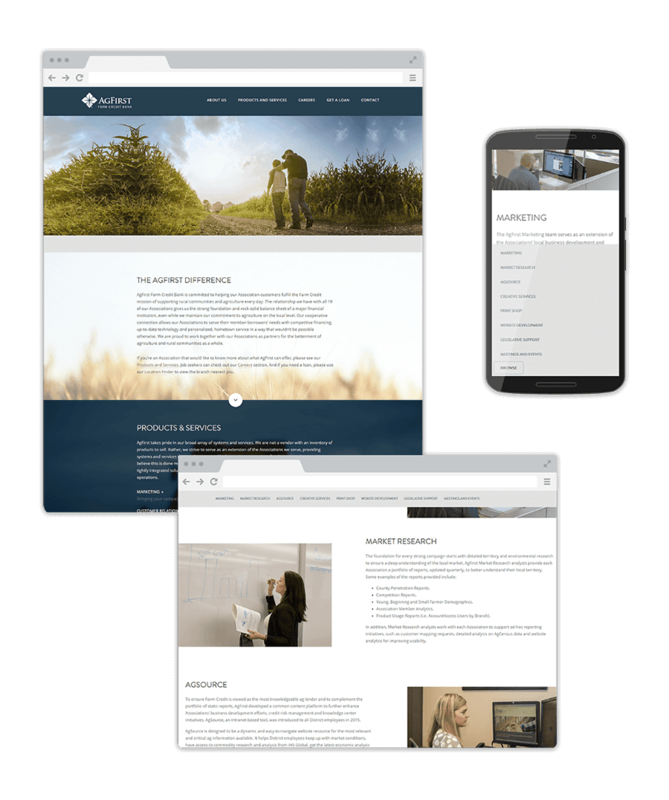 During my tenure at AgFirst Farm Credit Bank, there was a push to do a complete overhaul of the customer facing website. Much of the information was outdated or incorrect. 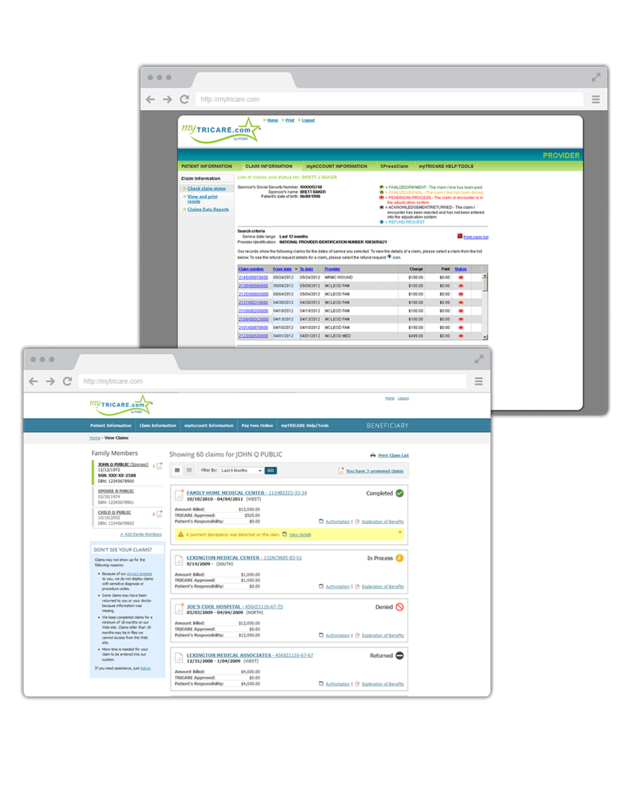 Our associations, potential customers, and internal employees had difficulty locating the information they needed on the old site. Additionally, the old site was not responsive and was clumsy to use on a phone or tablet. Combining interviews with internal and external customers with data analytics, the team developed user personas to keep us on track during the rest of the project. 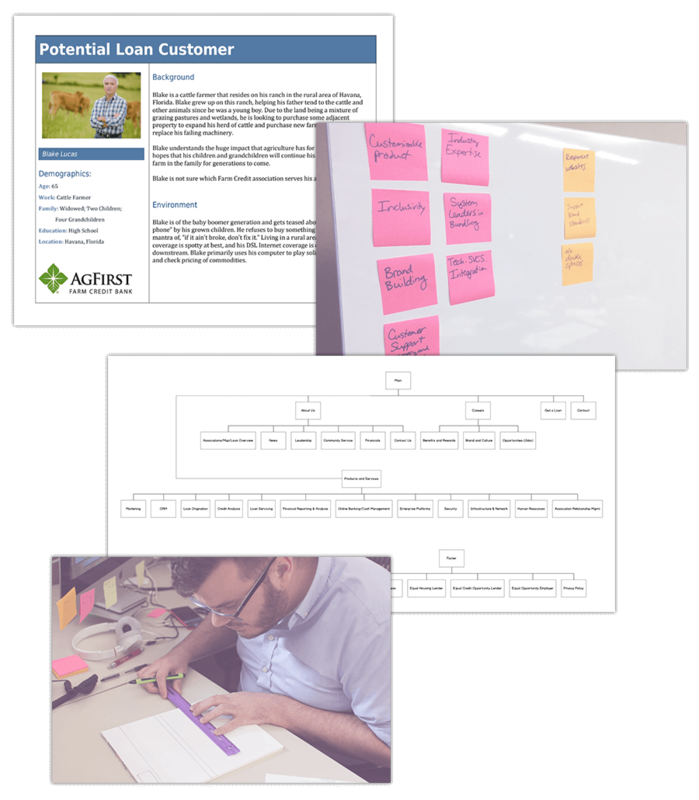 User personas were critical when developing our journey maps and wireframes. User testing was done at defined intervals during the project to ensure a happy user experience. Building a baby registry can be cumbersome. While there are registries available on popular sites like Amazon and Target, there wasn't a one-stop-solution to bring them all together in one application. Mamajamas was built in response to those issues. The initial build of the web application did not include any responsive design — which is where my team came in. 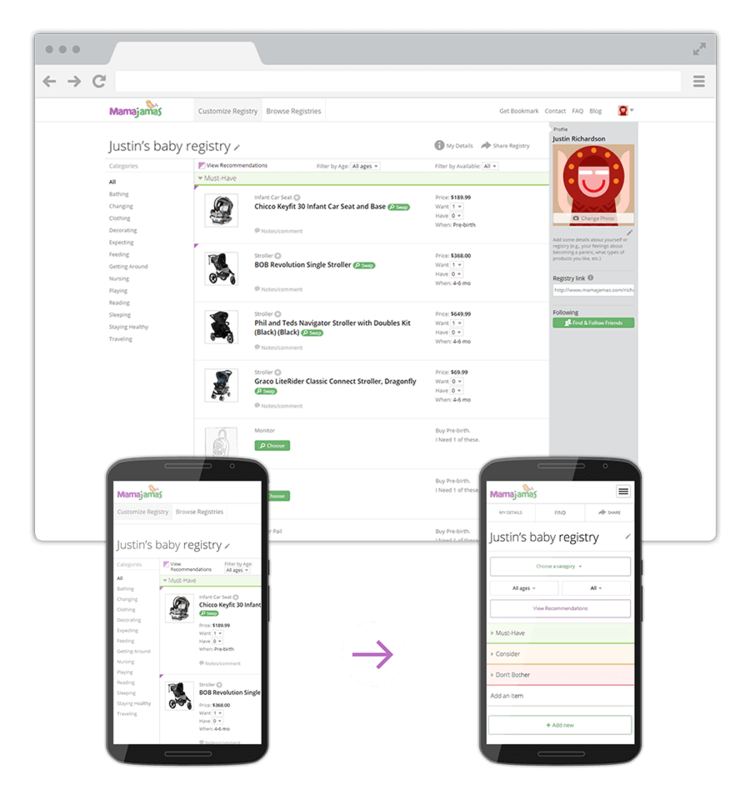 The team developed a responsive design for the application through user testing, discussions with stakeholders, and prototypes. 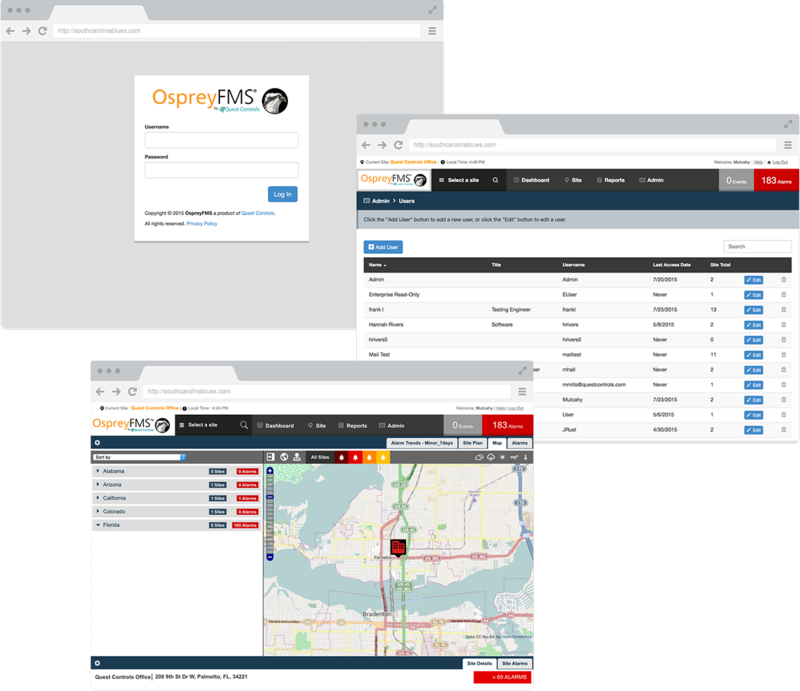 OspreyFMS is a leader in the niche market of low-level environmental monitoring and management for server rooms and other key infrastructure junctures. Big names such as Telemundo, Cox Cable, and Verizon Wireless use OspreyFMS to monitor weather patterns, power consumption, and other needs across a massive array of sites around the country. OspreyFMS analyzes the information across all these sites and funnels it into one web application for quick and easy access to information. The application lacked focus on the User Experience, as well as a poorly structured front-end. Major issues that required immediate addressing included 20+ style sheets per page, poorly structured markup, and no distinct or reusable UI design patterns. 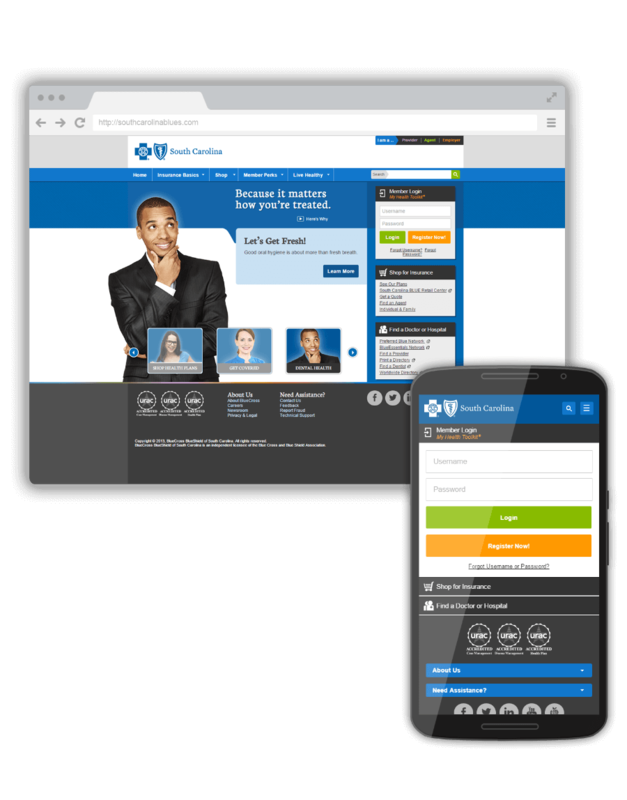 A third party was consulted by the marketing arm of BCBS to address the customer-facing website. The UX team was brought in to consult on any and all issues that might be a problem. We worked with the third party to iron these issues out and come up with a design that would address business needs from the marketing department as well as all major user experience issues. The UX team was also charged with creating and user-testing a responsive design to handle non-desktop devices. After BCBS gained the contract for TRICARE (the military healthcare system), the UX team was brought in to evaluate and rebuild major functions in the TRICARE application. There were several time-constraints as well as a strict budget which challenged us to think about the application in its entirety while only being able to work on functions in a piecemeal basis. After a function was complete, we would not be able to come back to it -- so we had to plan things extensively to avoid missing anything. User testing was limited by budget but we found ways to do some "guerilla user testing" as we coined it. Iterating rapidly on designs was key to our approach and helped push UX to be something that leadership considered more in future projects.